We're already hard at work brewing up some fine ales to take you through the festive season in style, and our exclusive Christmas beer, Santa's Secret, is ready for you now! At 4.2% ABV, this light-bodied yuletide beer offers notes of Christmas spice, and pudding fruit on the finish. It's a well-rounded, easy drinking beer with nutty and biscuity flavours. Ask your local to get some in! 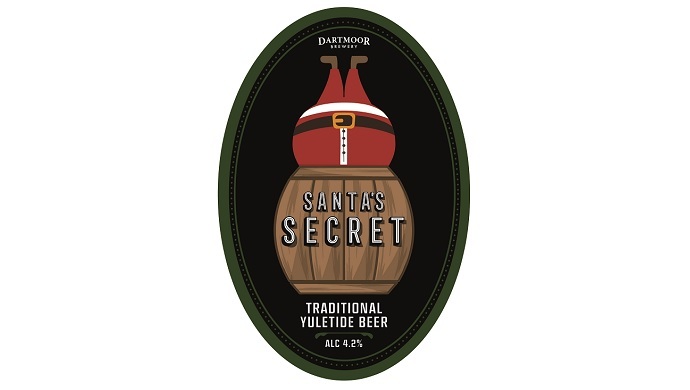 Whilst Santa's Secret isn't yet stocked in our Online Shop, we think the man in the big red suit will be heading to our website to pick up fine ales for the festive season, and Dartmoor Brewery merchandise for the odd Christmas stocking. Be like Santa - visit our Online Shop.